In many federal grant budgets, the sum of salaries, wages and fringe benefits constitutes the biggest “chunk of change.” These costs are usually “material” in the language of accounting and auditing. So, it should not be surprising that support for those charges often constitutes the No. 1 documentation vulnerability for recipients and subrecipients. The federal government now expects all recipients and subrecipients to maintain “a system of internal control which provides reasonable assurance that charges are accurate, allowable, and properly allocated.” Judgments about whether your effort reporting system does that will inevitably be made during upcoming single audits and more than occasional reviews by federal inspectors general. Make sure that the design and operation of your time and effort reporting system will pass muster. 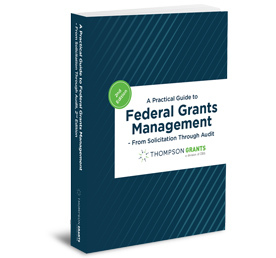 Join Bob Lloyd, principal of Federal Fund Management Advisor™, for an informative and practical session that will translate the new policy language for grantees and provide practical advice on how to respond to it.